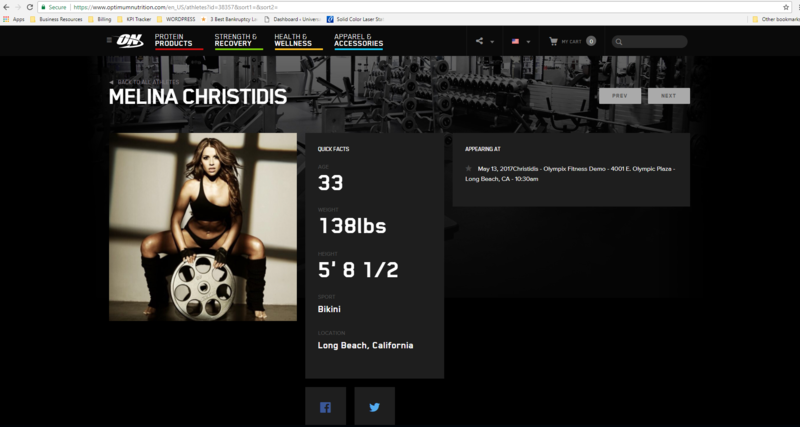 Melina became a sponsored athlete with Optimum Nutrition in May of 2017. Since then, she has attended and represented Optimum Nutrition at trade shows such as Mr Olympia, the Arnold Classic, and the LA Fit Expo to name a few. She’s a driven athlete and always represents the brand well.